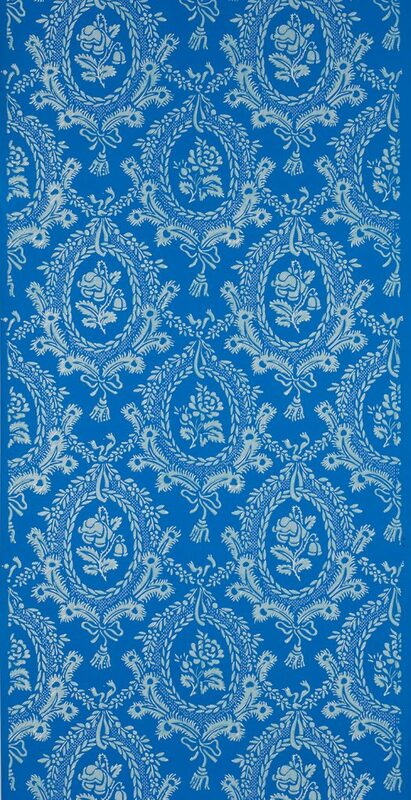 Adelphi’s Réveillon Damask is reproduced from a fragment in the collection of Colonial Williamsburg. The pattern has also been found underneath a simple flowered paper in a house on the Quai Voltaire in Paris. 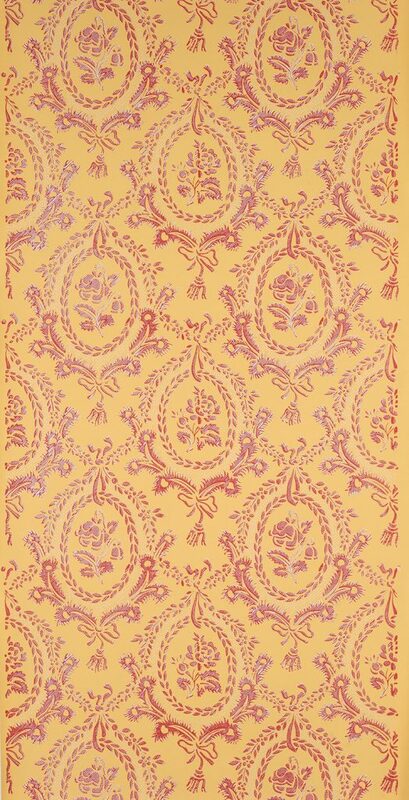 It was printed by the firm of Jean-Baptiste Réveillon, the most famous French manufacturer of wallpaper in the late 18th century. 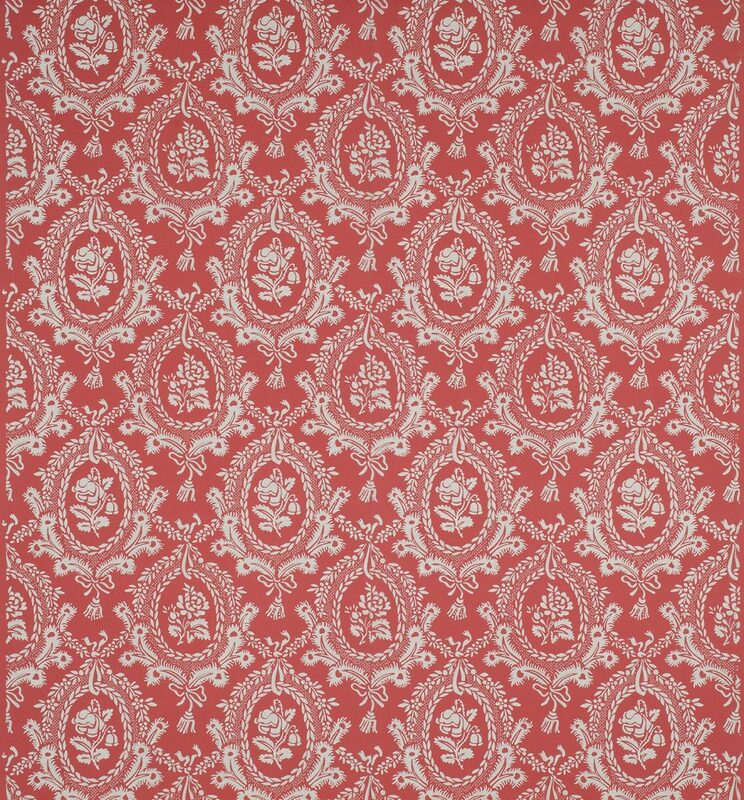 The motif of roses and medallions in white on a crimson ground is intended to imitate silk damask textiles, complete with the aristocratic connotations of those materials. 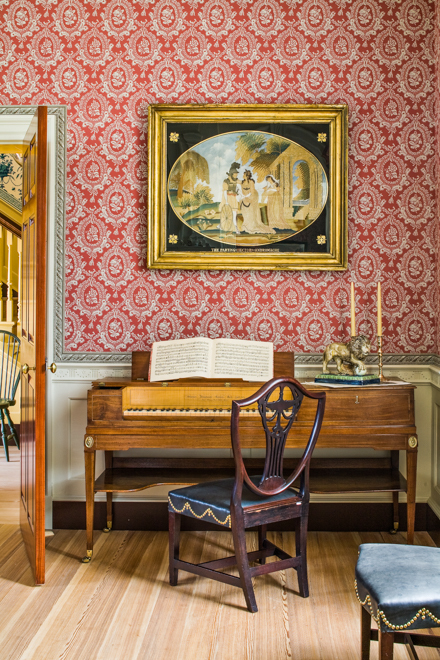 The simple floral pattern that replaced it in its Paris setting is indicative of the change in taste, attitudes and the move away from “sophistication” in Revolutionary France. 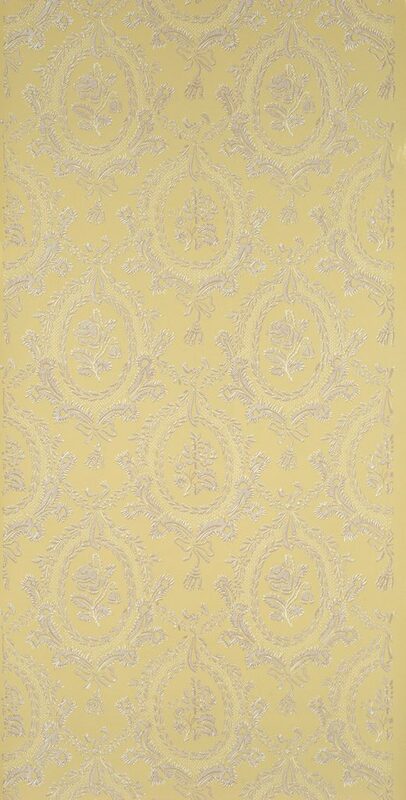 Imperial Measurements: Repeat 13 ½ inches, width 21 ¼ inches, length 11 yards, straight match. Metric Measurements: 34.3 cm, 54 cm, 10 m.